Officials in Ramallah charge Israel's decision to legalize several disputed communities in Judea and Samaria is a bid to create a state. PLO Secretary-General Yasser Abed Rabbo claimed Saturday that Israel is seeking to create a "settler state" in Judea and Samaria instead of a "Palestinian state." The charge came as Israel legalized the Shvut Rachel community, and announced plans to legalize two neighborhoods in Shilo. Shvut Rachel and the Shilo neighborhoods were built with government assistance, but without defense ministry permits. Plans to legalize a third such Shilo neighborhood are expected in the coming weeks. Abed Rabbo said that Israel was continuing to build in settlements "so that it could establish a state for settlers, and not for Palestinians, in the West Bank and Jerusalem." Israel wants to "prepare a new map" for Judea and Samaria in order to "impose it on the Palestinians and the world," he claimed. "This, at a time when the Palestinians are seeking a negotiated solution on the basis of international legitimacy," Abed Rabbo said. 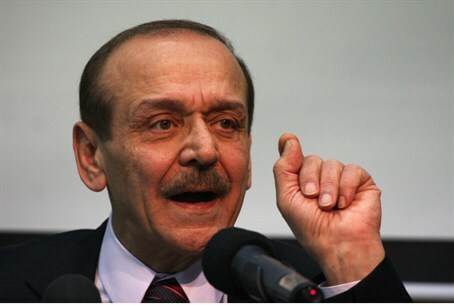 Abbed Rabbo's claim comes despite senior PLO officials announcing Israel had expressed a desire to retain only 6-9 percent of Judea and Samaria, and eastern Jerusalem, in recent exploratory talks in Jordan. Judea and Samaria are divided into three sections, with only Section C, containing 4% of the entire area's Palestinian Arabs, under full Israeli control. The remaining 96% are in the Palestinian Authority. He also claimed that Israel was pushing toward placing the Gaza Strip under Egyptian control in a bid to separate it from Ramallah. However, Jerusalem has denied such claims and Cairo has indicated it has no interest in administering Gaza. Israeli officials charge that PA officials are using a growing list of preconditions known to be unacceptable to Israel as an excuse for forestalling talks. Ramallah insists Jerusalem accept the indefensible pre-1967 lines as the future borders for a PA state, freeze all construction in the 'disputed territories,' and release all Arab terrorists from its prisons. Officials in Jerusalem note a previous 10-month building freeze by Israel aimed at meeting PA demands was rebuffed, and answered not only with more preconditions, but a unilateral statehood bid at the United Nations in September 2011. That move violated the 1993 Oslo Accords and that peace talks should resume immediately without preconditions.